What once seemed like it would be an incredibly compelling Tacoma Rainiers season has become a show of the Big Three: Taijuan Walker, James Paxton, Danny Hultzen, and the defacto fourth Brandon Maurer hanging out at Cheney Stadium. 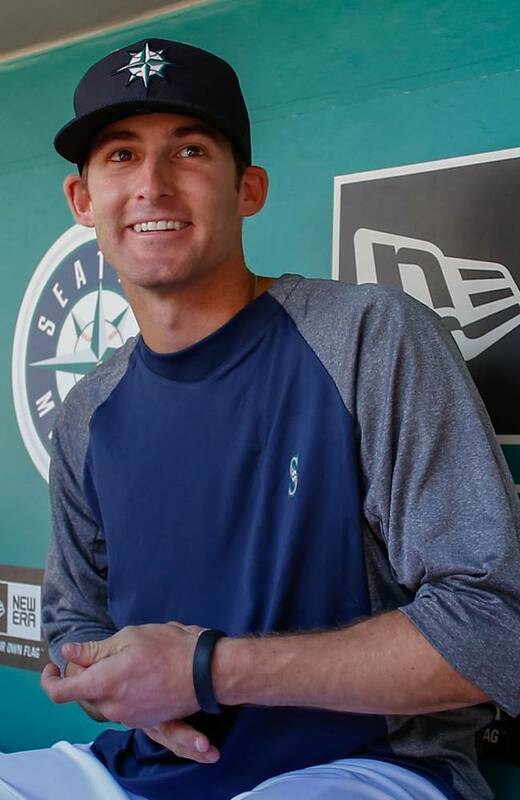 Already in the big leagues this year are Mike Zunino, Nick Franklin, and Brad Miller, while Dustin Ackley and Justin Smoak have spent time in Tacoma (Smoak’s due to injury). The Mariners are going young, and this is how going young looks. It doesn’t look like taking players straight from extended spring training to the big leagues the year after they’re drafted. Going young in baseball is different than going young in other sports because big league organization have nearly 200 players between all levels. In 212 minor league games, Miller has made 55 errors, which works out to a pace of 42 errors per full season. Error rates are higher in the minors than they are in the majors for various reasons, including lower quality infields, and it isn’t that strange for minor leaguers to make a lot of errors. Back in 1993, Derek Jeter made 56 errors in one season, and his career minor league fielding percentage of .934 is lower than Miller’s .942. But Jeter was a teenager coming up through the minors, spending his final year in Triple-A at age 21, and this is a more common problem for very young players. Another element that works against minor league infielders is that their teammates, especially their first basemen, are prone to be sub-standard fielders. While this may not be captured in the way of errors for the first baseman, a good first baseman can turn several throwing errors into outs. Brad Miller can be a good hitter. He’s not going to have a ton of power but his approach and contact skills are both above average, and despite lacking top-end speed, Miller may have a future as the Mariners leadoff hitter. In my estimation, Miller was in a virtual dead-heat with Nick Franklin as the team’s fourth and fifth best prospects coming into this season. The main thing holding Franklin at that level was that he’d yet to relinquish entirely his hold on the shortstop position. At this point it doesn’t look like he’s going to be playing much shortstop, but he’s got potential to play there in the future, potentially. Friday’s other developments included an Alex Liddi DFA, a Carlos Triunfel demotion, and Dustin Ackley playing center field. I’ve talked quite a bit about Ackley’s potential to be passable to average in center field, maybe even better than that, and given the organization’s lack of depth in the outfield – especially in center field – Ackley should get several looks there before the end of the season. Triunfel is organizational depth at this point. He’s a right handed bat off the bench that can handle multiple positions. The team will need that soon, as their second baseman is a switch-hitter likely to struggle from the right side, and both their shortstop and third baseman are left-handed hitters. Even in the event that Ackley becomes the team’s every day left fielder (more likely than center with Michael Saunders on the roster) Triunfel may be able to provide some value in a platoon if he’s able to handle the position defensively. Alex Liddi on the other hand, is a man without a position. He’ll probably never hit enough to play first base, and he doesn’t field well enough to play third base or left field. Whether he gets picked up by another team is probably anybody’s guess, but considering the relatively grim prospects of him becoming a productive big leaguer, his DFA isn’t much of a loss regardless of the outcome. Trying to be a big league ballplayer on a regular basis is a cruel pursuit, probably in excess of nine out of ten professional players are doomed to failure and a lifetime of smaller paychecks and being as unknown as the average schmuck. However becoming a professional at any level exceeds the accomplishments of most young men who play the game. The Show and all of its glitter and gold must replace the heaven that mere mortals aspire to. It’s nice that we can share some part of these dreams being realized by the Ms rookies this year but I feel for those who tried for so long and were found wanting in some respect. That has to hurt.